Solar panels were installed on a Fresno home as part of the Low-Income Weatherization Program. A new statewide program using cap-and-trade money to fund solar panels for low-income residents launched this week in Fresno. Valley Public Radio’s Ezra David Romero reports. Salvador Mendoza and his family are one of the first 1,780 households in the state to receive rooftop solar panels through California’s Low-Income Weatherization Program. 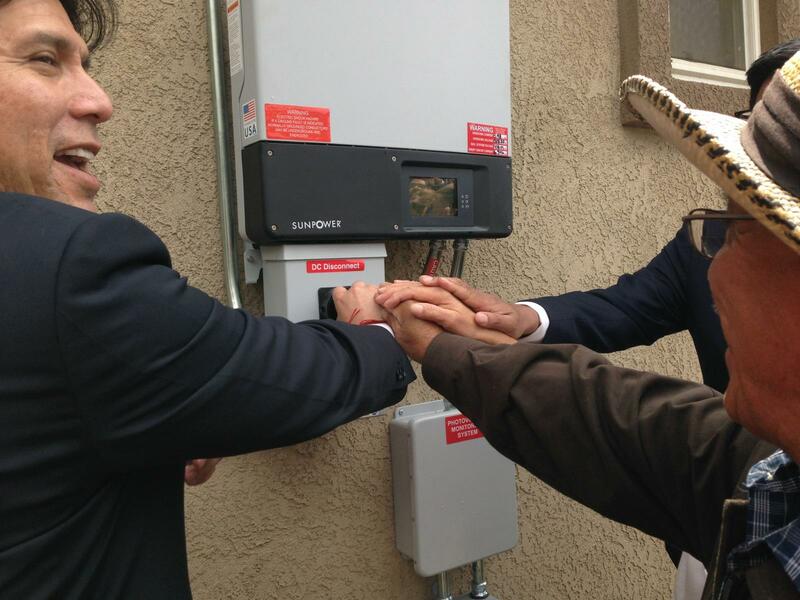 The Mendoza's home is the first home of 20 in Fresno to have solar panels installed through the program. Mendoza has lung disease and lives in one of the most economically impoverished parts of Fresno. Senate President pro Tempore Kevin De Leon worked on legislation to fund local projects that combat climate change while at the same time lower bills for low-income people. 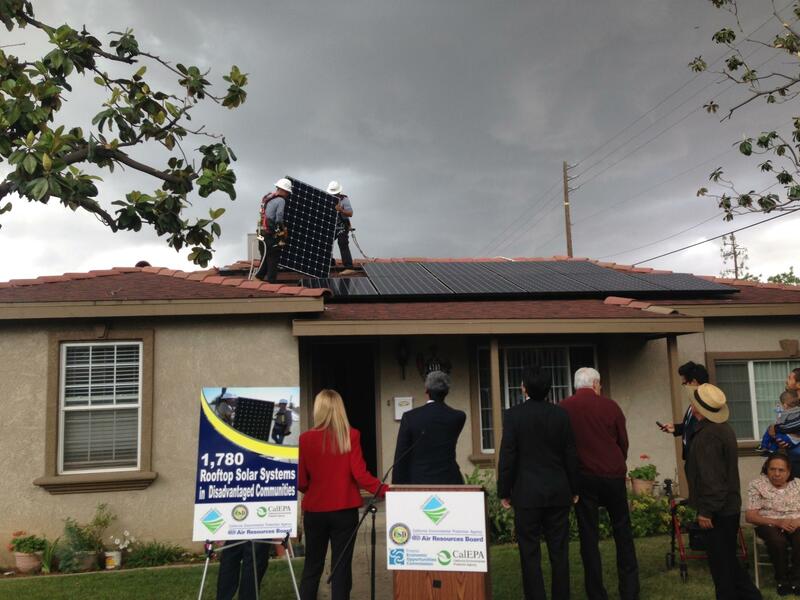 The panels are funded through $­75 million in cap-and-trade auction proceeds and 20 homes in the Fresno area at this point will receive panels. It’s no secret that solar energy is a trend, but did you know that the Fresno metropolitan area is ranked first in the top 10 metro areas for solar power in the US? The organization One Block Off the Grid – the Priceline of solar installations – was on a mission to find out which parts of the US use the most solar energy. The National Renewable Energy Laboratory held their answer through their database the Open PV Project. Does Fresno Need A New Vocational Education High School? Local schools have a lot on their plate, preparing students for life, a job and the possibility of a college education. But what about students who likely won't attend college? The answer used to be in vocational education classes, things like auto shop and wood shop. But increasingly those classes have disappeared from schools with the emphasis on standardized testing and college readiness.